Most of us are familiar with the term coaching used in the context of sports and training. Life (or Personal) Coaching offers you the opportunity to focus on the most important game of all, the game of life. It is like having a personal trainer for your life, moving you forward and elevating your game to new heights. Coaching is designed to help you make new discoveries, find direction, set and achieve higher goals and go for your dreams. The coach will empower and support you with the focus, learning and accountability required to achieve results in the most important areas of your life and embarks with you on your journey to success. A coaching relationship is about bringing out the best in you and the process involves dialogue, mutual feedback and most importantly confidentiality. Coaching is an invitation to uncover what is possible. It is for people who Aim To Be the best they can. There is no time like now to take action and create the results you want and deserve. If you would like to accept the challenge or find out more, visit the Life Coaching or Business Coaching pages, or find the answers to some frequently asked questions. At the heart of life (or personal) coaching is a process of discovery, development and positive change. It is for anyone who is prepared to examine their lives and Aim to Be the best they can be…. Business Coaching has become an indispensible and organisational tool. Coaching in an organisation is an interactive process intended to foster rapid development. It focuses on improving performance and/or behaviour moving…. 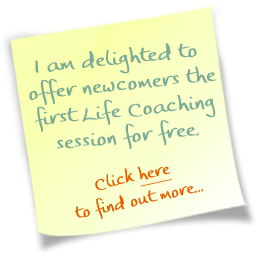 What is Life / Business Coaching? Coaching is used to turn ideas into actions, experiencing and embracing change leading to improved performance. In Life coaching the objectives are mapped out with the individual’s personal goals in mind whilst business…. 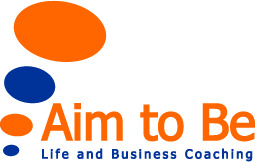 I hope that you have enjoyed learning about Life and Business Coaching at Aim to Be and that many of your questions have been answered. Please feel free to browse through my blog posts for coaching related articles (recent posts to the right) or keep exploring the site. I am only a call or an email away and you can contact me at any time if you would like to arrange a Free First Session or have any other queries. Take 2 seconds to answer the latest poll. Which of the following do you agree with the most?